President Trump’s Proposed Budget Were the Main Topic of Discussion on America’s Work Force. 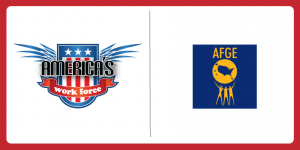 On March 20, Jacque Simon, policy director of the American Federation of Government Employees joined America’s Work Force to talk about President Trump’s proposed budget. Simon talked about how President Trump’s proposed budget included cuts to many valuable programs, such as the Environmental Protection Agency, Department of Transportation, healthcare and social security, along with cuts to public education. She said that a lot of what the President is proposing to cut in his budget is a classic union busting move, however, as of right now, there is not much progress being made in Washington D.C. to push anything through. Simon went on to talk about the Paid Leave Act and the Federal Medical Leave Act and the push for more paid parental leave. Lastly, she spoke about the issue of TSA workers still waiting to receive back pay from their missed pay periods while working during the government shutdown. 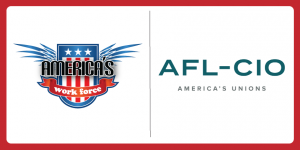 Davida Russell with the North Coast Labor Federation – AFL-CIO, spoke with America’s Work Force on March 20 to talk about getting more involved in local government. She talked about if you want to see change, you have to actively participate and vote on issues that are important to you. To add on to that, Russell said that she would also like to see more union members get involved in government, whether it is running for a spot on city council, or by voting on issues that most affect unions. AWF host Ed “Flash” Ferenc discussed the General Motors Lordstown plant and how the workers are demanding that the company invest into them as much as they had invested into the company over the years. This entry was posted in Union Radio and tagged AFGE, America's Work Force Radio, American Federation of Government Employees, AWF, Davida Russell, Ed "Flash" Ferenc, General Motors, Jacque Simon, Lordstown, President Trump by awfblog. Bookmark the permalink.